The defence minister, Claus Hjort Frederiksen, has revealed that Denmark will be given the command of NATO’s fleet in the North Atlantic (also known as SNMG1) in 2018. 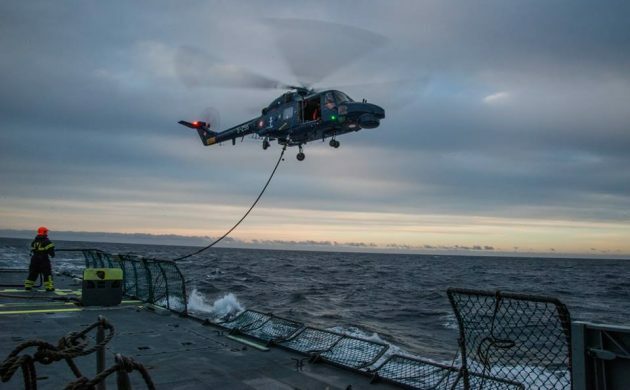 Frederiksen made the announcement in connection with a visit to the Danish frigate Peter Wilemoes, which is currently helping to fight the terror organisation Islamic State as part of a US carrier group in the Persian Gulf. “We know the Baltic Sea is becoming a more and more important area in light of the Russian escalation, and we can see we need a more powerful presence in our own region,” Frederiksen told DR Nyheder. The Baltic Sea is one part of the area the fleet will cover, but the naval forces are often to be found in the eastern part of the Atlantic. NATO’s fleet in the North Atlantic consists of several ships from various nations, including helicopters. Denmark will take over NATO command from Norway in what Frederiksen is describing as a vote of confidence in the Danish Navy. Denmark already has plans to deploy 200 soldiers to Estonia at the end of the year as part of the NATO bid to bolster the defence of the Baltic nations.